Since our month of salads is coming to an end I'm feeling a little daring and willing to expose some of my salad secrets. I love salad with granola. Please don't think I'm weird, because I promise you arugula and granola go so, so, well together. Arugula (or as the British call it, rocket) is my favorite leafy edible green, which is strange because I'm a total wimp when it comes to hot spicy food, and arugula is a bit spicy, just a teeny bit. But I love how my mouth tingles when I eat it, and I love how crunchy and refreshing it is all at the same time. 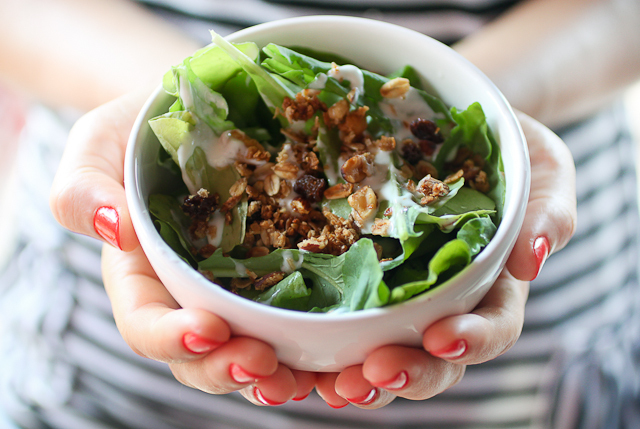 Add some yogurt dressing and some granola and you've got yourself a great salad. Gently rinse out and dry the arugula. 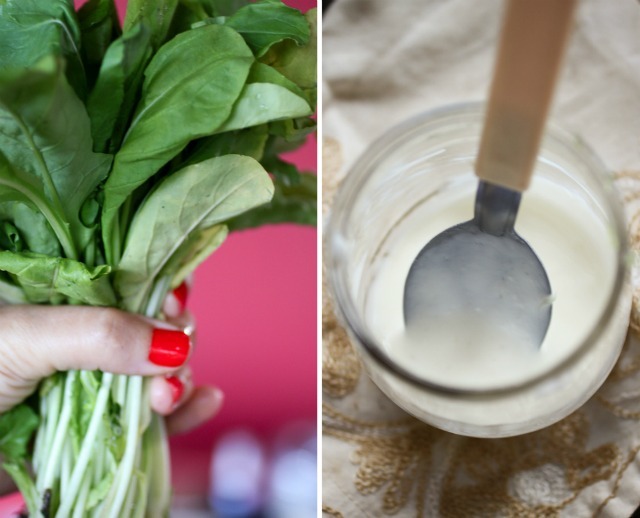 Mix the yogurt with lime juice to make the dressing. 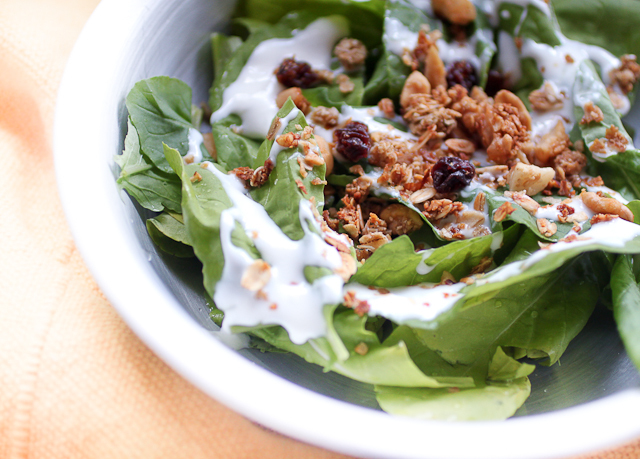 Gently toss the arugula with the dressing and add the granola on top.